This is an in-depth article by Howard Choy, a Feng Shui Architect and Principal of European College of Feng Shui (ECOFS) in Berlin, Germany. 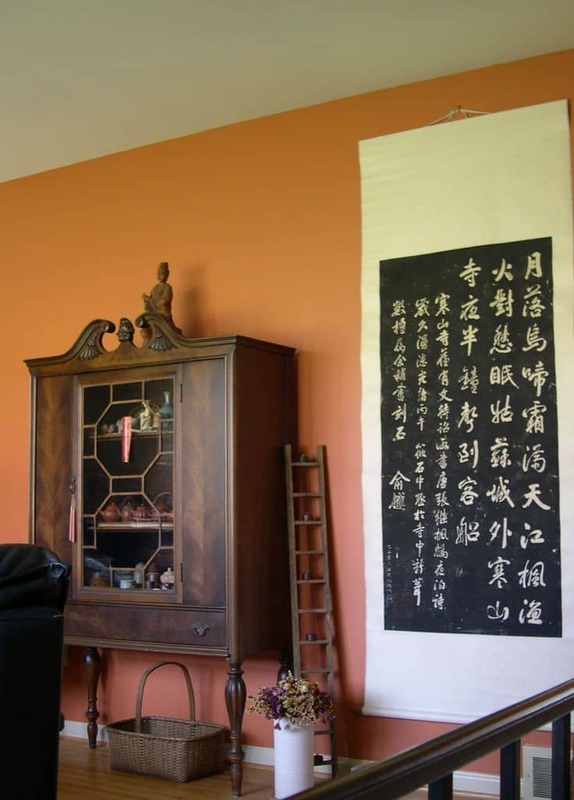 This article uses cultural context to introduce a different way of thinking so you can better understand, interpret, and practice Feng Shui in a holistic way. Have you ever wondered why there are two main schools of Feng Shui, namely the Form School and the Compass School, and not just one? Why do we need two of them? What are their main differences that we would need one to support the other? In short, it’s because the two schools use two types of thinking that complement and support each other, namely logical thinking and Chinese correlative thinking. Most of us understand logical thinking. However, most people that I’ve met (even some certified Feng Shui Consultants) have trouble understanding correlative thinking. Hopefully, after reading this article, you will have a better understanding on what it is so you can comprehend and better practice Feng Shui. To illustrate, let’s start by first looking at the Chinese names of the two main schools of Feng Shui. In Chinese, Form School is called either Xing Shi Pai or Luan Tou Pai. Xing Shi literally means Form and Configuration. That is, we look at the smaller and visible parts in our environment and see how they would relate to each other to form a larger configuration. In other words, we see how they would group together to form a whole. This process is not unlike playing with children’s wooden blocks to form a recognizable structure. The other name is called Luan Tou Pai, which literally means the Mountain-Top School. Why mountain tops? Because if we look at the mountain tops of a range of mountains, we can see and follow their rise and fall to get an idea of how the landscape would behave from point A to point B. Form School Feng Shui looks at the visible parts of the environment, such as the landscape of a mountain range. Both of these Chinese names imply that we would use observation and analysisto do our Form School Feng Shui in a logical way to establish the causes. In the process, we are dealing with tangible things that have form and are visible. To these things that are manifested, and quantifiable, the Chinese would say they have Form Qi or Xing Qi, as compared to the opposite – things that are intangible, formless and invisible, which are referred to by the Chinese as having Formless Qior just Qi. There is even a character for the Form Qi (氣) and another for the Formless Qi (炁), even though they sound the same. This is where the term Li Qi Pai for Compass School of Feng Shui comes in. Li Qiin Traditional Chinese Medicine has the meaning to regulate the flow of the Vital Qi (Qi that keeps us alive) and remove obstructions to it. In Feng Shui the aim is similar. But instead of dealing with Vital Qi, we are dealing with the Formless Qi or just the Qi of the environment. Thus, Li Qi Pai can be translated literally as Regulating (Formless) Qi School. To regulate implies that we have to keep a balance. But the Qi that we are working with is intangible. It has no form, and it is invisible and not manifested. So how are we to do this? The Feng Shui answer is with the compass and with correlative thinking. The Compass School Feng Shui uses compass reading and correlative thinking instead of logical thinking used in the Form School. We start with something that is measurable by a compass, like measuring the sitting and facing of a house, or the top of a mountain, or the direction of the coming and going of the water. This measurement is then correlated to a set of values and numbers to create a patterned language. By interpreting the resulting pattern with a set of rules, we can get an understanding of how the invisible and the intangible are related to each other. With this insight we can read or interpret the Formless Qi by comparing it with the Form Qi. So the seen and the unseen, the form and the formless, the manifested and the un-manifested can come together, enabling us to find the in-between that is holistic and appropriate to the situation. This is exactly how a Compass School method like Flying Star works in practice. We start with the time of construction of a house and then correlate it to a 20-year period with a Trigram and a number. This number then becomes the Period Number, which can fly through the Nine-Palaces with a fixed pattern. 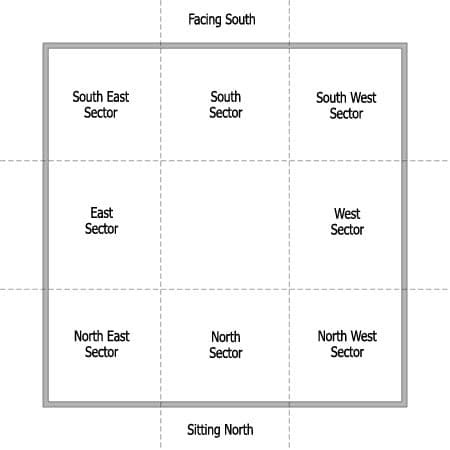 Divide a house’s floor plan into nine equal squares and you’ll get the Nine Palaces. We then do the same with the sitting and facing of a house. The compass measurements are correlated to a set of Trigrams and numbers. With these numbers and the agreed-upon flying sequence, we can make up a Flying-Star Chart. We then interpret this patterned language with a set of rules, based on the Five-Phase relationships and the concept of timeliness and Host and Guest, etc. Continuing from the previous example, we then compare our interpretation of the numbers (or ‘stars’) with what we can observe in the Form School Feng Shui. The stars are not the stars in the night sky but are the Trigrams with their many correlations and associations. When we combine the Yin and Yang of what is visible and observable in the Form School with what is invisible but calculated in the Compass School, we can do our analysis with Yin Yang dialectics to come up with some efficacious suggestions for our clients to consider. This is why it is essential that we need both the Form School and Compass School of Feng Shui to do our audit and analysis properly. Here’s a similar concept. 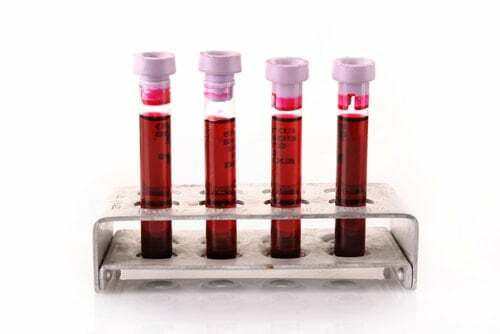 In medicine, a blood test can only tell you so much about your body. Sometimes you’ll need ultrasound, x-rays, urine, or other methods to fully diagnose the health of an individual. Another reason why we use the two schools is because the Chinese believe that everything has Qi and Yin and Yang qualities. 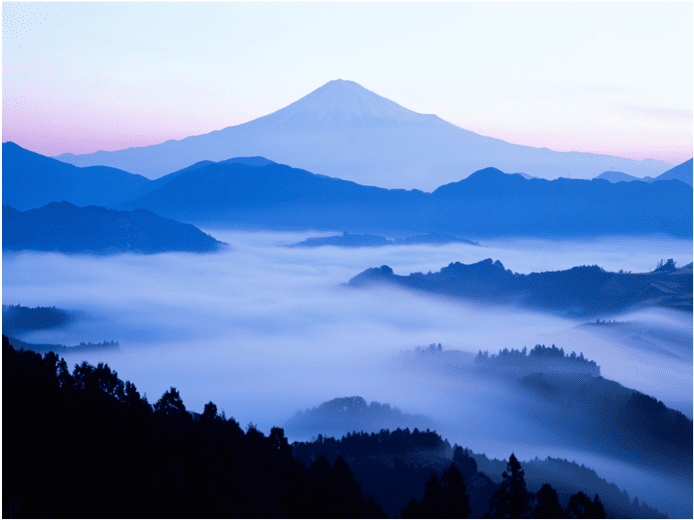 Meaning, there is Form Qi and Formless Qi, as well as correlative thinking and logical (or casual) thinking to make sense of things holistically. However, the pressing issue in modern day Feng Shui is that many practitioners do not understand or know the working of causal thinking as compared to correlative thinking. These people often interpret the correlations causally and literally. So let me clarify what correlative thinking is all about. Correlative thinking, or more precisely Chinese Correlative thinking in Compass Feng Shui, is unlike the logical thinking we use in Form School Feng Shui. Logical thinking observes and examines things in detail in a rational way in order to learn about them, so the process can be repeated and is predictable. It is diagnostic, methodical, logical and systematic. Correlative thinking, on the other hand, uses a conceptual framework of correlations to make sense of the same phenomenon. The outcome is not so much in learning about things individually or causally but how they are related to each other, so there is mutual resonance to achieve efficacy. Correlative thinking is more concerned with the original character of a thing under consideration instead of diagnosing it. Correlative thinking is more intuitive; it is NOT unitary and precise. It tends to be multivalent and vague in the sense that it relies more on inspiration than on facts. Correlative thinking is more like metaphorical thinking. This TED Talk presentation, the Art of the Metaphor, has examples that show similarities to Chinese correlative thinking quite well. Except in China, the choice of the association or metaphor is often predetermined through Chinese philosophy. So instead of saying “there is an elephant in the room”, we would say, “this room has a Wood Element”. In both cases, we should not take the metaphor or the association/correlation literally, thinking that there is a real elephant in the room, or that we should only cover the walls of this room in wood or paint this room all green, because the colour green is also correlated to Wood. If you want to learn more, here’s an article by Roger T. Ames and David L. Hallthat explains Chinese correlative thinking quite well. Example #1: A classic example is the 5 Yellow Earth Star, which is not a real star but a correlation for a quality that is sitting in the middle of a situation and has the ability to connect in all directions. It is likened to an emperor sitting on his throne – it can be powerfully good when it is timely and it can be powerfully bad when it is untimely. So when we see a combination of 2 and 5 (where 2 is the 2 Black Earth Star correlated to sickness and the mother of the house), those who don’t know that they are correlations would say literally that the 2 and 5 combination would cause the mother to have untimely disaster or even get stomach cancer! In other words, when you see 2 and 5 together in a Flying Star chart, we say it has the potential and tendency to lead to sickness of the mother or the eldest woman in the house. This is meant to be a potential and tendency only. We have to examine whether it is really the case or not in a given situation. However, people who are ignorant of correlative thinking would take it literally and think the 5 Yellow Earth Star has caused the mother to have cancer. This is a gross misunderstanding of correlative thinking. For instance, if you were born in a certain year and you are correlated to an animal sign such as a Dog or a Pig. This does not mean that you are literally a dog or a pig. These labels are only used as a metaphor to get an understanding of your potential character and tendencies, and we need to observe you in detail to see if that is the case. Example #2: Here’s another example. It’s about the feng shui saying that you’re flushing your wealth down the drain when your toilet is in your wealth corner. To me, this is a misconception because in Feng Shui water is correlated to wealth. It is only a metaphor or figure of speech to get us to examine whether there is actually any wealth in a given situation, such as in situations where you are living by the seaside or if your house is facing a river. Yet, people take this metaphor literally and think when water gets flushed down the toilet, their wealth will go down with it as well. Example #3: I once saw a Feng Shui consultant (one of my students before she started studying with me) advised her client to paint his car repair premise in fluorescent green because the client’s Bazi element is Wood, and green can help build up his Qi to get more business! Most people don’t know the Five Elements or the Five Phases are more about correlations than being factual. The elemental theory is set up to look at relationships between different things. Each element or phase can be associated with a color, a shape or a material as an expression of its potential and tendency in a relationship. So color should be used as an accent, highlight, or something that would stand out to get us to pay attention to the hidden relationships between objects. The artwork and furniture is highlighted by the color of the wall. It would be ridiculous if we take it literally and paint the whole place in one color that has nothing to do with function nor situation. Color selection has to be considered on 3 levels: the physical (the Earth level), the psychological (the Human level), and then the symbolic (the Heaven level). You don’t paint the whole place in one color because of the correlation between a person’s times of birth to an element. It makes feng shui look absurd. Example #4: The Bagua or Trigram associations are also another set of well-known correlations we use in Feng Shui, and it is very easy to take these correlations literally. If you do take it literally, then you would think a toilet in the Northwest will cause the father of the family to get sick, and that we must never have a toilet in the Northwest! That is not what correlative thinking is meant to do. Correlation is not causation. The correlation is there to get us to think about the relationship between the location, orientation and the function of a space affecting the occupants. If we take the correlations literally, then it becomes ridiculous and people would think Feng Shui is absurd. Example #5: What about the 3-legged frog? 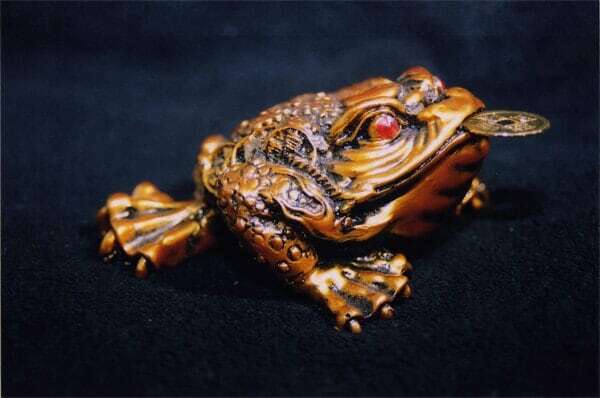 Feng Shui’s three-legged frog is a symbol for begetting of wealth. People say that if you put it in your entry lobby, it will bring wealth for you. Does that mean you don’t have to work? Do you think you can just sit around and someone will come along and give you money, like the coins that are in the frog’s mouth? The frog is a symbol for begetting of wealth. It won’t acquire wealth for us! So here’s how Feng Shui should be practiced. Use the Form School to observe and analyze what can be seen, and use the Compass School to calculate what cannot be seen. Somewhere between all the observations, the calculations, the logical and the correlative thinking, we can find the in-between and know a little more about occupants and their needs and concerns. As consultants, we use that information to help you make better decisions. Many of the Feng Shui misconceptions that experts have encountered are the result of people not knowing the two different types of thinking and the two different schools that we use in Feng Shui. So next time when you hear that wealth is going down the drain because of a toilet in the wealth corner, just take it with a grain of salt and keep a smile on your face because now you know better!